This delicious brisket is coated in a sweet rub and slow smoked to perfection. Of course, you can adjust the heat by using mild or hot chili powder. Preheat smoker and add wood chips (follow your instruction manual). Clean and dry the brisket. Apply brisket rub evenly. Place brisket in smoker for 8 to 10 hours. Keep the smoker temperature at about 220 degrees. To increase tenderness, take the brisket out of the smoker, wrap in aluminum foil and place in oven at 180 to 200 degrees for the last two hours. 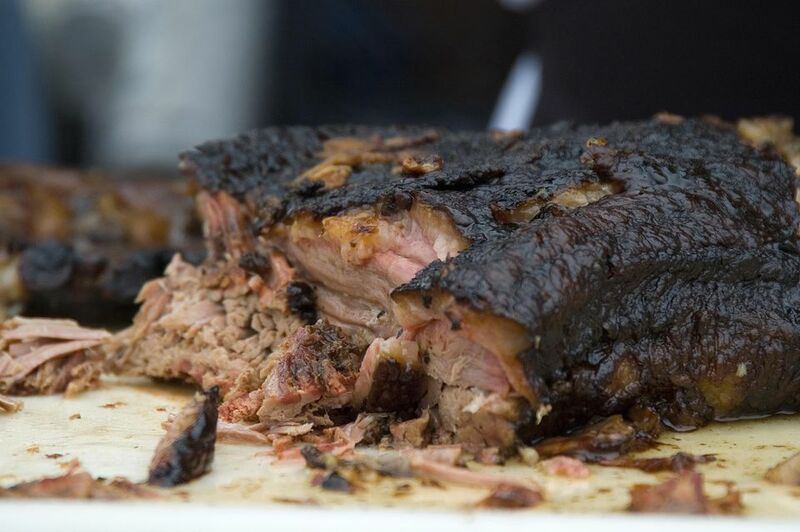 Typically after 8 to 10 hours a piece of meat will have absorbed as much smoke as it can and additional smoking may impart a bitter flavor. Allow brisket to sit for 20 to 30 minutes before slicing it.